Due to high demand we anticipate being unable to fulfill all customer orders with our first allocation. Product supply from Nikon is very limited. Your place in line will be maintained, and we will not charge your credit card until we ship the product. AmazonUK and AmazonDE have not posted any such notice, leading me to believe that either there is high demand for the V3 and 1 Nikkor 70-300mm in the US or more probably Nikon is restricting supply to the US market, which is known for vastly favouring DSLRs over MILCs/CSCs. In any case, US residents interested in the V3 and the new telephoto zoom should pre-order fast, to avoid having to wait too long for delivery. I agree with the 35mm equivalent f1.2. Anywhere in the 35mm-45mm range will do fine by me. 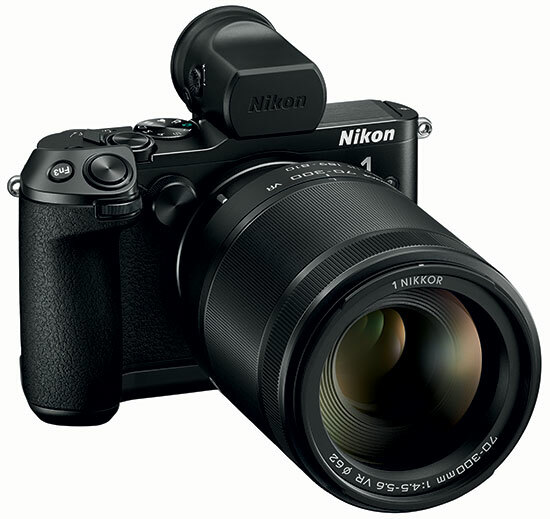 Nikon 1 users desperately need it. You mean 13mm f/1.2 native lens? Yes, something like that is badly needed. I will be happy with 24-70mm equiv. F1.8-2.8 zoom kit lens, like the new sony rx100. But I am very happy and positive impressed user of this small camera and FT1 adapter. What I do not like is the door on the right side. It is hard for me to open it, and of course this miniSD. Hi Dirk! Looks like Nikon is staying true to its DX strategy regarding lenses. A new super or slow zoom every year, but hardly and primes or fast zooms. The next lens for N1 will probably be a 10-145mm f/4-5.6. There is a patent for such a lens, which was uncovered a couple of days ago by the Japanese Egami blog. But I am very happy and positive impressed user of this small camera and FT1 adapter. What I do not like is the door on the right side. It is hard for me to open it, and of course this miniSD. So you’ve bought the V3? With or without the EVF?